Mood board: A pure, glowing white set struck the cleaned up modernist mood at Zegna where Stefano Pilati dazzled with deep ebony summertime suiting. Best in show: Apart from the fluid tailoring, which had pants spinning around the legs in striking volume, we couldn't take our eyes off the new plaids. 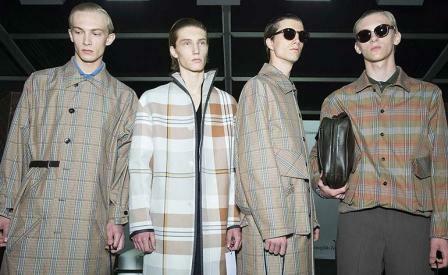 Pilati gave Burberry a run for its money with rescaled, arty-looking pastel plaids on brilliant jackets and overcoats. Finishing touches: Ergonomic tasselled loafers and nerd-friendly boxy briefcases with flap pockets added a cool geek edge.